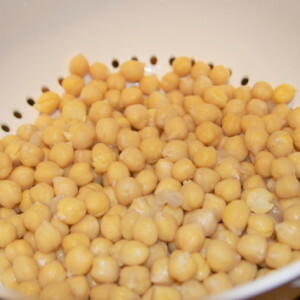 Chickpeas or Garbanzo beans are one of those things I have enjoyed from time to time but have not really used them much at home and since we are really trying to NOT used canned fruits and veggies at my house (I still do in a pinch) I thought I would try to cook them at home. And really these are the EASIEST thing I have ever made EVER. I knew I was wanting to put them in salads and to make hummus so I did not any seasoning at all so I would have a blank slate. All I did was soak about 1 1/2 cups of beans for at least 8 hours. Then I rinsed them and put them in the slow cooker with the cooker filled with water on high for about 3 1/2 hours. Drained them and that is all. They are ready for all sorts of dishes. And THESE FREEZE well. 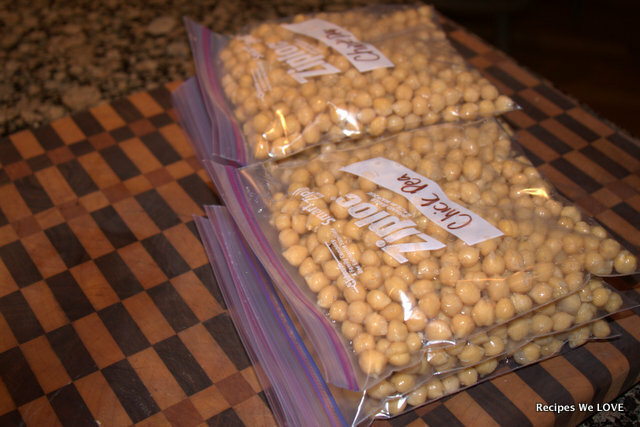 So make a BUNCH and throw them in the freezer then they are ready to go when you are. Man, I really need to get a bigger deep freezer. 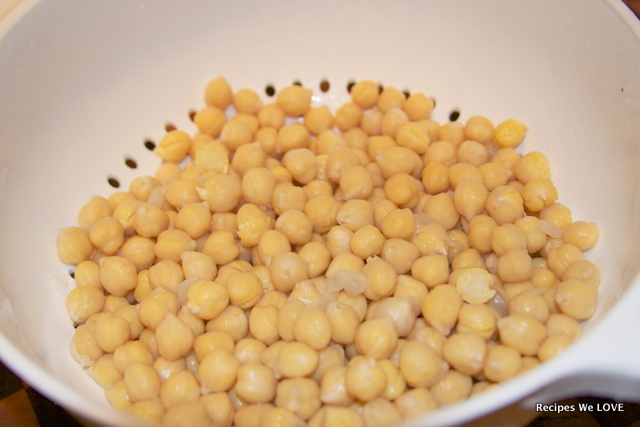 If you are like me and like to know what all the health benefits are in Garbanzo beans check out This Link.